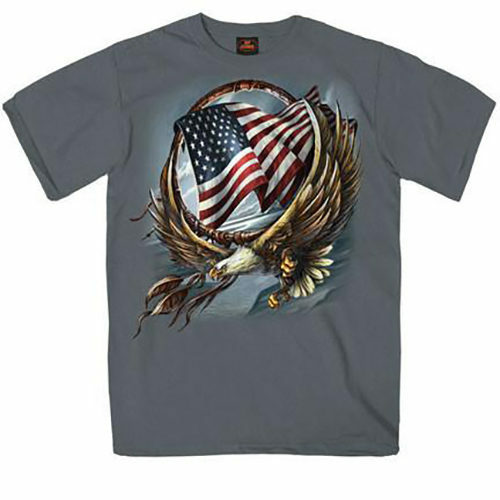 Black Eagle Flag T; AVAILABLE WITH OR WITHOUT GWRRA LOGO ON SLEEVE; CHOOSE VARIATION AT CHECK OUT. 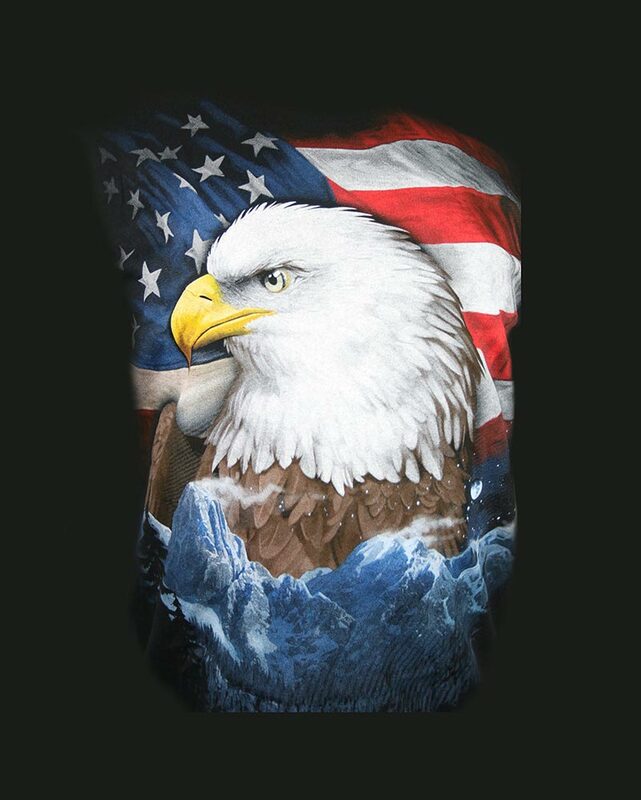 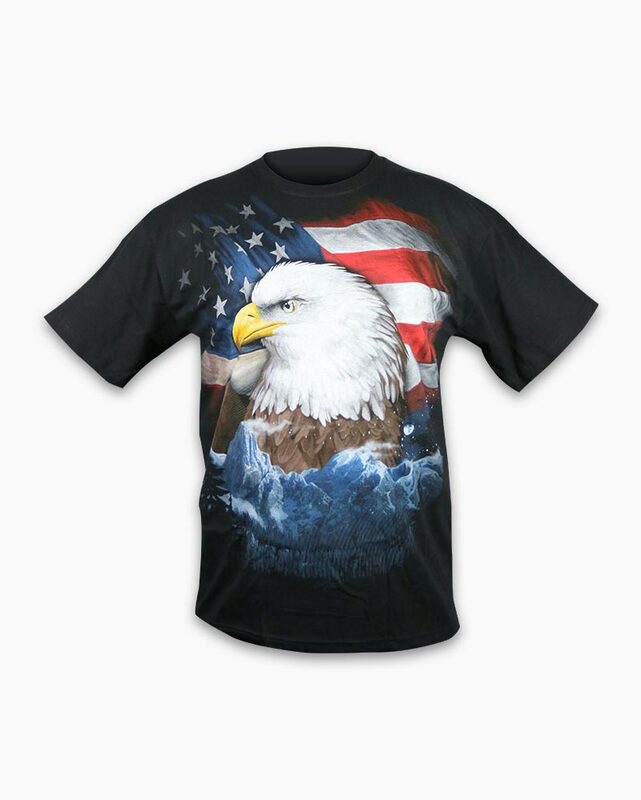 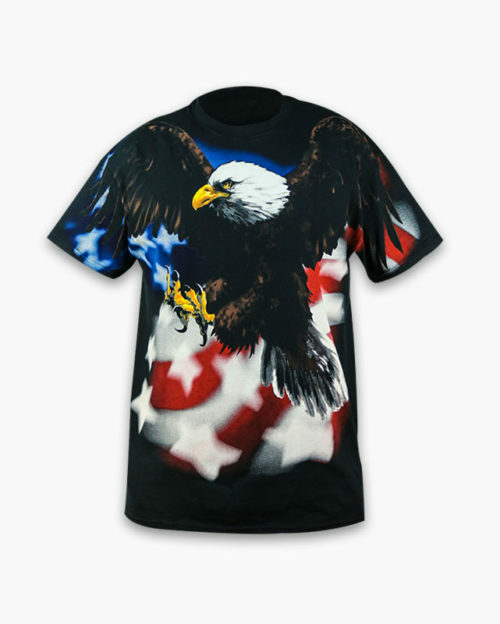 Stunning Eagle Stars & Stripes Graphic T-Shirt, designed, dyed and printed in the USA by Liquid Blue. 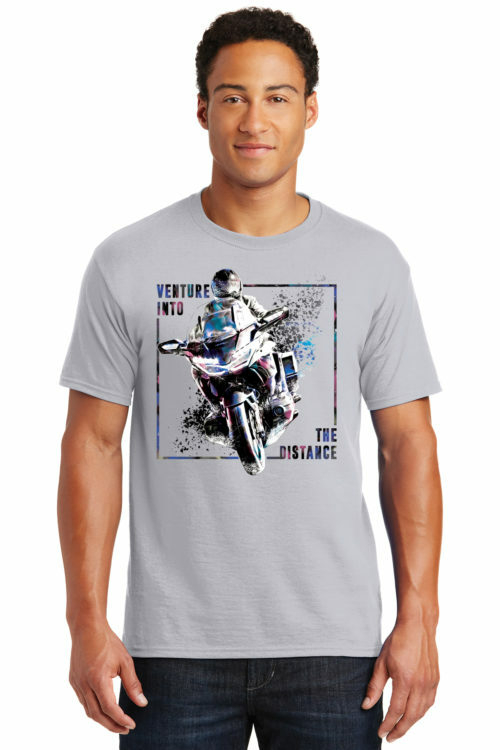 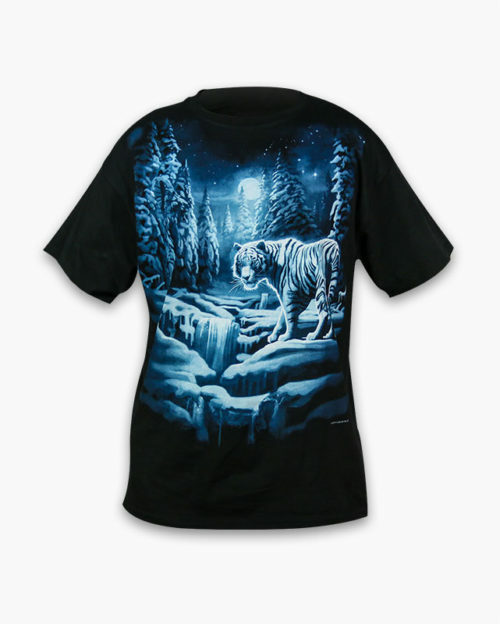 Made from heavyweight, 100% cotton and pre-shrunk. 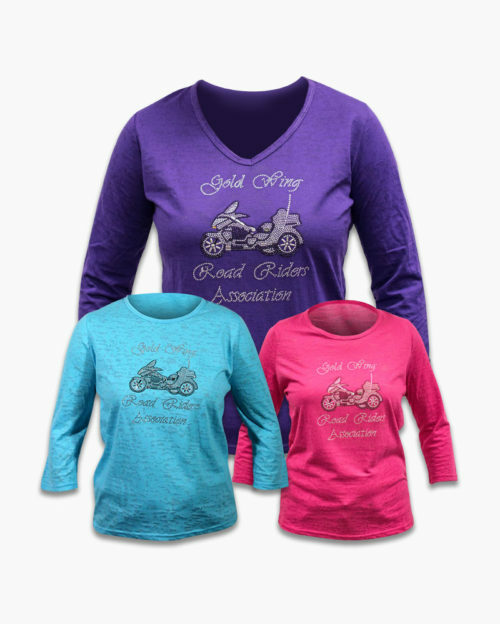 Available in sizes Medium-2XL; PLEASE NOTE: THIS ITEM IS NOW AVAILABLE WITH “GWRRA” ON SLEEVE; CHOOSE VARIATION AT CHECK OUT, LOGO OR NO LOGO. 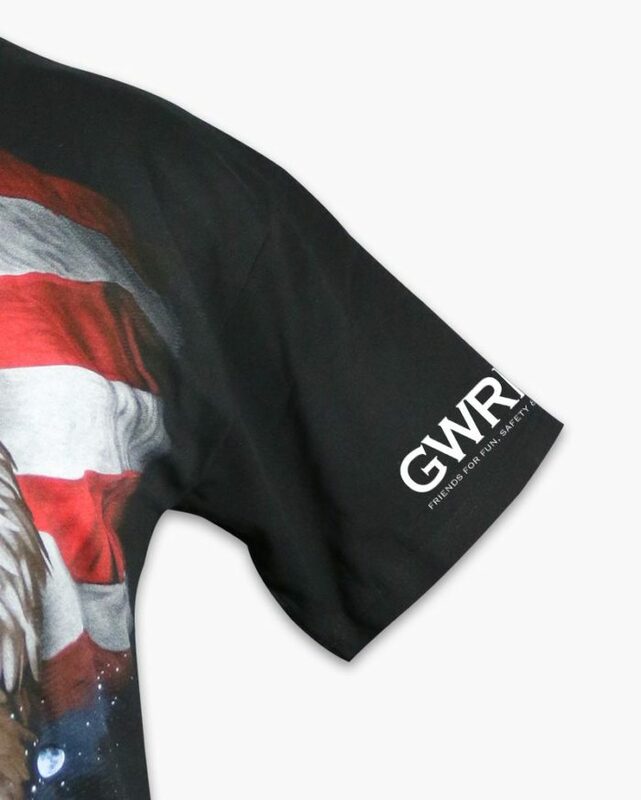 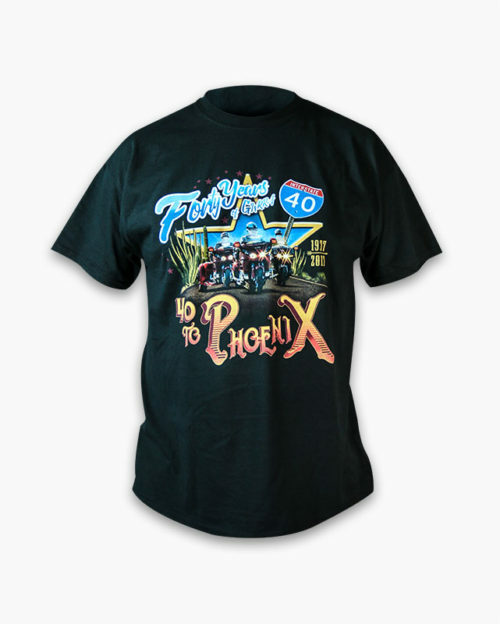 ONCE THE NO-LOGO SHIRTS ARE GONE, THAT’S IT…HURRY, GET YOURS NOW, MAKES A GREAT GIFT ITEM FOR YOUR NON-GWRRA FRIENDS AND FAMILY.